catalan coast is an experimental synth project from southern germany. their new self titled cassette is out now on german 'xerox-label' midnight circles in a hand-dubbed, hand-xeroxed, hand-stamped made-to-order edition. 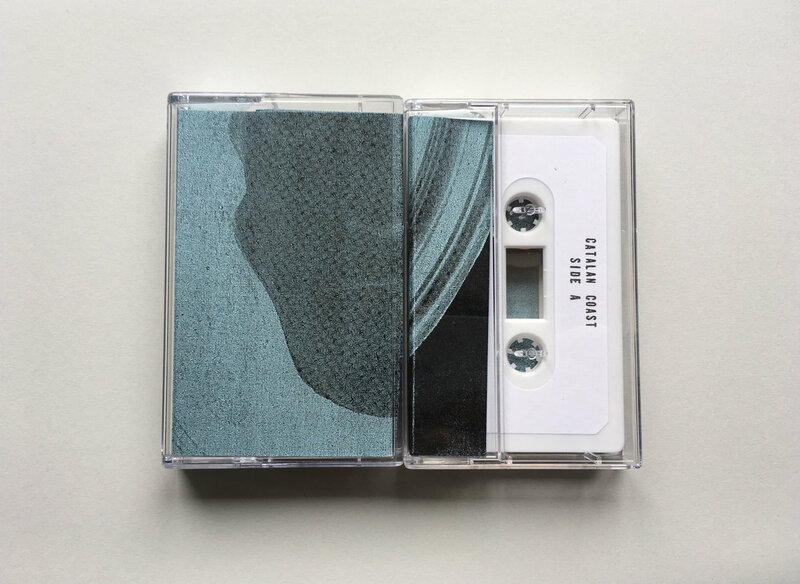 the compositions on this tape are made of synth tones on tape loops of different lengths overdubbed on a tascam 4 track. the varying loop lengths and sounds melt together to create rhythmic and microtonal events. side A has two songs, 'felt 1' and 'felt 2', each of which combines a spectrum of pitches across several loops to create wide, active drones. 'felt 2' especially has an organic pulse and shimmer. side B's longform title track is minimal in contrast to the songs on side A, building it's atmosphere with only two synth loops that work together at a calmer pace. the inconsistencies of the analog process can be heard as this glacial piece of music flows, analogous to the way this release as a physical object is produced. the same thing is copied over and over, but each copy is different than all of the others. a celebration of analog processes. get the tape here. it can also be purchased as part of a bundle with all of midnight circle's july releases.